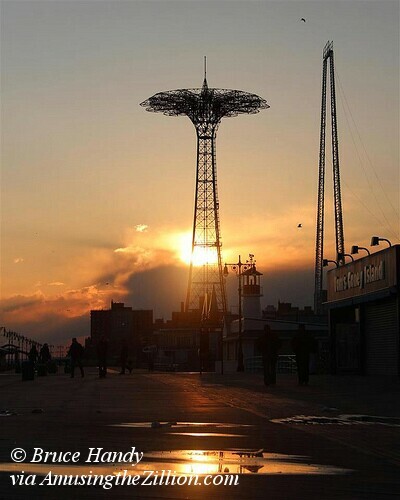 Coney Island resident Bruce Handy photographs sunsets on the Boardwalk nearly every day. This image after a March rainstorm suits today’s somber mood and messages of resilience and strength. The Parachute Jump, the sole survivor of Steeplechase Park, endured years of neglect and threats of demolition before acquiring city landmark status in 1988.